Dr. Kean is committed to excellence in the care of shoulder and knee problems. 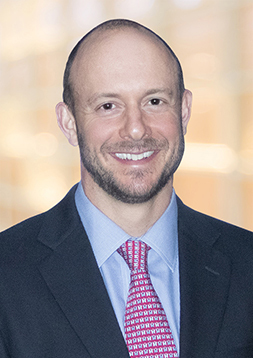 He employs the most current arthroscopic and open surgical techniques to manage a wide spectrum of shoulder and knee disorders. The compassionate and competent care of patients is one of his primary missions. Dr. Bret T. Kean is a member of the Active Attending Staff at Providence Milwaukie Hospital and Legacy Mount Hood Medical Center. Fellowship-trained in Orthopedic Sports Medicine and Arthroscopy, Dr. Kean is able to offer his patients techniques and treatment paradigms that are at the forefront of shoulder and knee surgery. Dr. Kean started his training in Pennsylvania, first earning his B.S. in molecular biology at Haverford College and then his M.D. at Jefferson Medical College. He then headed westward completing his residency at the prestigious Case Western Reserve University in Ohio, followed by a fellowship in sports medicine/arthroscopic surgery at the University of Utah. While a visiting instructor at the University of Utah he helped cover the University’s collegiate athletes (women’s soccer, men’s football, and ski team events). On a professional level, Dr. Kean is interested in anatomic double bundle ACL reconstructions, care of the winter athlete, fracture care, and arthroscopic shoulder surgery. In his free time, Dr. Kean’s interests include spending time with his family, running and skiing.